Stanford alumni will once again help plant the gardens at St. Mary’s Home. At the heart of Stanford University's founding principles is "a desire to render the greatest possible service to mankind." Though these are Jane Stanford's words, generations of Stanford alumni have made these words their own—this commitment is what Beyond the Farm is all about. 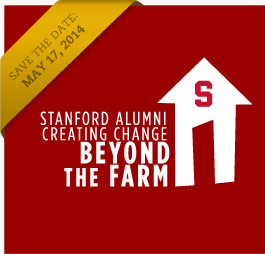 Volunteer in your community alongside Stanford alumni, families and friends on May 17, 2014. With 200,000+ alumni around the globe, one day can make a world of difference. If you are an alumnus of Stanford click here to register.